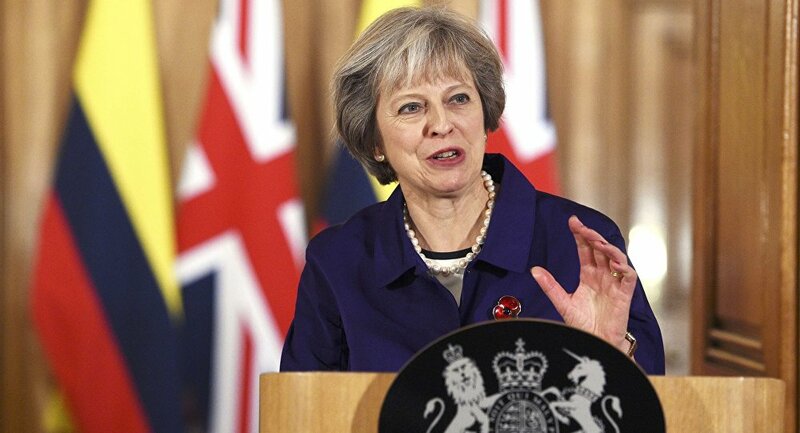 The fallout however, is that now, British Prime Minister Theresa May, is facing a rebellion from within her own Conservative party by members concerned she'll either soften or harden her Brexit strategy. Interim leader of the UK Independence Party (UKIP) and politician whose sole campaign to leave the European Union centered on "getting our country back" and "taking back control," Nigel Farage is now predicting a Brexit "betrayal" after the historic Article 50 ruling. Vote Leave said they wanted UK courts to take back control. So there it is. "I worry that a betrayal may be near at hand," Farage said. Anger seems a bit of an understatement compared to UKIP millionaire donor Arron Banks, who has accused the "legal establishment" of "declaring war on British democracy." "They didn't get the answer they wanted, and now they're going to use every dirty trick in the book to sabotage, delay or water down Brexit," Banks said. But it was never really clear — and Theresa May didn't appear to know either, initially repeating her empty rhetoric, "Brexit means Brexit." Keir Starmer, shadow Brexit secretary, has since told reporters in London that the prime minister will now have to "answer the big questions" regarding the UK's membership of the single market or the customs union. "This is about accountability and scrutiny," Keir Starmer said. "Very many MPs accept and respect the referendum, of course, but the terms upon which we exit are vitally important. I think there is now consensus that the prime minister has got to disclose the overarching strategy." Meanwhile, the cracks are already showing in the Conservative party following the Article 50 ruling after Tory MP Stephen Phillips, who voted to leave the European Union announced his resignation. Mr. Phillips blamed "significant policy differences" between himself and the government after quitting his job as MP for Sleaford and North Hyekham in Lincolnshire. Downing Street says Theresa May has made brief phone calls to President of the European Union, Jean-Claude Juncker and German Chancellor Angela Merkel, saying that she remains committed to leaving the EU in March. Mrs. May also said she felt confident that the government can win an appeal against the ruling, suggesting that her finger is indeed still on the Article 50 trigger.